An absolutely amazing piece of advertising in my eyes, maybe even a little road dangerous. Apart from the rear lights which don’t exactly stand out too much there’s actually very little giving away that you’re looking at the rear of the bus and not the front. Anyone know what the German text says. 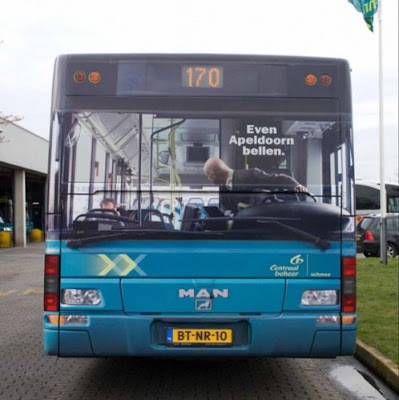 Its Not German, Its Dutch It Says:You Have To Call Apeldoorn.